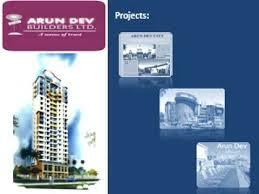 Arun Dev Builders Ltd is well known Real estate company in the Indian market. We have built a reputation for delivering high quality Flats, residential apartments for our clients. Our objective is to continue to provide a great level of service to our clients. Arun Dev Builders establish in 1997. We are well known brand name in Indian market mainly popular in Delhi, NCR with North India. We are build time to time Real estate & commercial projects for our clients, Our mission is not earning money against of this we should be get faith & long time relationships with our customers. We have already successfully completed many projects by the name of an “Arun Dev city” in Rajasthan, Haryana in many more cities. Our mission is developing all projects at commitment time for the client and gives a great and green atmosphere in our home city.